Richard Jones's acclaimed new production of Puccini's opera will be broadcast live from Covent Garden. Michael Fabiano as Rodolfo and Nicole Car as Mimì in La bohème, The Royal Opera Season 2017/18 © ROH 2017. Photograph by Catherine Ashmore. The Royal Opera's new production of Puccini's classic opera La bohème will be relayed live to cinemas around the world on 3 October 2017. Richard Jones's production sees the director bring his characteristically acute insight to this much-loved classic, visualized in Stewart Laing’s spectacular, stylized designs. To enhance your viewing experience, access our La bohème Digital Programme for free using the promo code FREEBOHEME, and enjoy a range of specially selected films, articles, pictures and features to bring you closer to the production. The opera tells the story of a group of penniless artists living in Paris. When poet Rodolfo meets seamstress Mimì, the couple fall instantly in love. 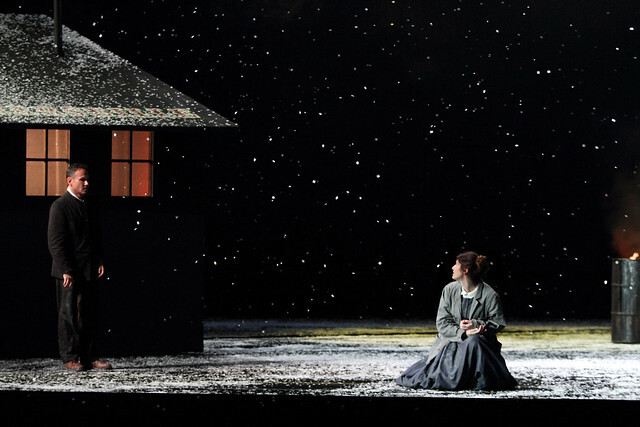 Their happiness is threatened, however, when Mimì falls gravely ill.
Puccini's opera is based on a book by Henry Murger, Scènes de la vie de bohème, but quickly outstripped the popularity of its source material after its premiere in 1896. It has since gone on to influence a number of other works of stage and screen, including the musical Rent. La bohème features some of all opera's most romantic music. Conductor Antonio Pappano describes the opera as a masterpiece, and has likened Puccini's contribution to the art form as akin to Hitchcock's influence on film. The opera will be sung in Italian with English subtitles. 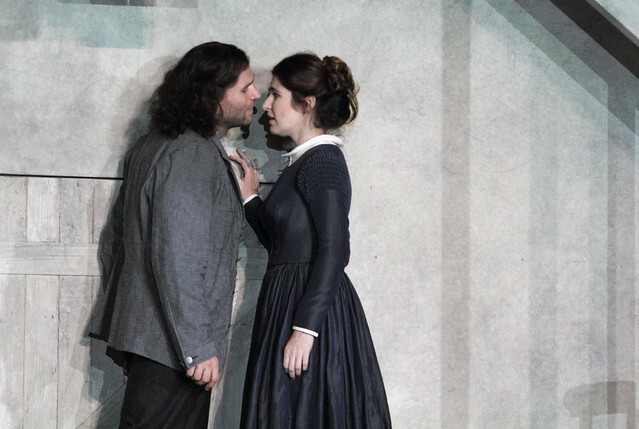 Mariusz Kwiecień as Marcello and Nicole Car as Mimì in La bohème, The Royal Opera Season 2017/18 © ROH 2017. Photograph by Catherine Ashmore. Richard Jones's new production features an exciting young cast including American tenor Michael Fabiano as Rodolfo, Australian soprano Nicole Car as Mimì and Mariusz Kwiecień as Marcello. We've rounded-up audience and press reviews from opening night and we'd love to hear from you before, during intervals and after the live cinema relay, so share your thoughts via Twitter and Instagram using #ROHboheme. La bohème will be relayed live to cinemas around the world on 3 October 2017. Find your nearest cinema and sign up to our mailing list. It is a co-production with Teatro Real, Madrid and Lyric Opera of Chicago. It is staged with generous philanthropic support from Mrs Aline Foriel-Destezet, Mrs Susan A. Olde OBE, Beth Madison, The Royal Opera House Endowment Fund and The American Friends of Covent Garden. Thank you for this insight - the performance tonight mesmerising. Unforgettable! I was unable to visit the cinema for this screening of my most favourite opera. Will there be an encore screening please? Comments from friends told me this was a wonderful performance, very moving. Thank you for your interest in our 2017/18 Cinema Season. There will be an encore screening of La boheme. Please visit our website at the below link to find your nearest venue's screening date and time. Michael Fabiano and Nicole Car seem very "Americans" and I don't like the Fabiano's song. Very good others, naturally witty and very,very "Bohemiens"